It’s a re-appropriation of art on a meta level, as Ezra stares into the face of colonialism. It’s their planet. We’re the hostiles. What makes Han’s statement here even more interesting is that it’s made on Mimban about the Mimbanese Liberation Army. This was a planet that the Republic aided in repelling an invasion by the Separatists, only to stick around themselves as invaders, all while still claiming to be righteous. Take the planet for the Empire. Eliminate hostiles. How did this script flip? Obviously, the Republic became the Empire, but what exactly caused the narrative to change? How did the freedom-fighting Mimbanese allies get so easily rewritten as hostiles? What happened to the respect for a planet’s sovereignty that once moved the senate to follow Queen Amidala’s vote of no confidence in Valorum? Well, the Clone Wars. And also, The Clone Wars. There are many episodes of The Clone Wars in which the heroic Jedi and the heroic Grand Army of the Republic are repelling a Separatist invasion. Invasions which frequently come with their own share of war crimes: civilians as shields, civilians as guinea pigs, or civilians just suffering under the horrors of war in general. These episodes paint the Republic in a clearly heroic light, making us, the audience, cheer when the neutral Togruta or Lurmen decide to side with the Jedi, leading to a Republic occupation of their home. Even when Republic forces are clearly the invaders, like on Umbara or Geonosis, they’re still framed as the heroes, while the planet’s inhabitants undergo a strong “othering”. When it’s the Separatists invading, the planet’s natives speak Basic (aka “English”) or there is a translator available. The Umbarans and Geonosians speak in untranslated languages that are made to sound as different as possible from English. This othering is not only a tactic used as a media shorthand but also one used in-universe by the Sith themselves. The Thrawn novel discusses the distrust the Imperial military has of nonhumans, caused by the Separatists being led by many nonhuman planets and the Republic Army being comprised entirely of cloned humans. The Revenge of the Sith novelization reveals that this was deliberate, a means to other nonhumans in the galactic cultural consciousness. A government clean, pure, direct: none of the messy scramble for the favor of ignorant rabble and subhuman creatures that made up the Republic [Dooku] so despised. The government he would serve would be Authority personified. It was no accident that the primary powers of the Confederacy of Independent Systems were Neimodian, Skakoan, Quarren and Aqualish, Muun and Gossam, Sy Myrthian and Koorivar and Geonosian. At war’s end the aliens would be crushed, stripped of all they possessed, and their systems and their wealth would be given into the hands of the only beings who could be trusted with them. Therefore, by the time Order 66 rolled out, the Republic – now Imperial – populace was used to the “heroic” colonization of “other” planets. It’s an easy twist on the Empire’s part then, to make it appear that no matter whose planet they land on, it’s always the opposition who are the hostiles. Especially when the indigenous people are aliens. This makes our later heroes like Ezra stand out even more against the protagonists of The Clone Wars. The Geonosians were fiercely othered by Attack of the Clones and TCW. Buglike, speaking in a distinctly non-English language, except in the case of a zombie queen. They are quickly, easily, and violently disposed. And then there’s Klik-Klak. 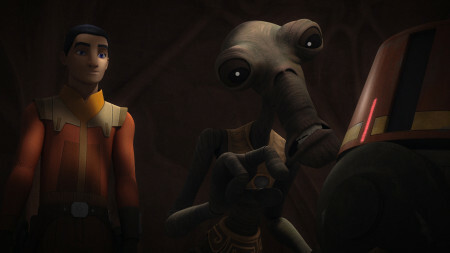 Ezra doesn’t treat him perfectly – there’s still the offhand renaming of the Geonosian – but for the first time, one of our heroes is actively trying to understand their culture. Not for strategy’s sake like Obi-Wan, but simply because these people are also worth knowing. It’s their planet, after all. 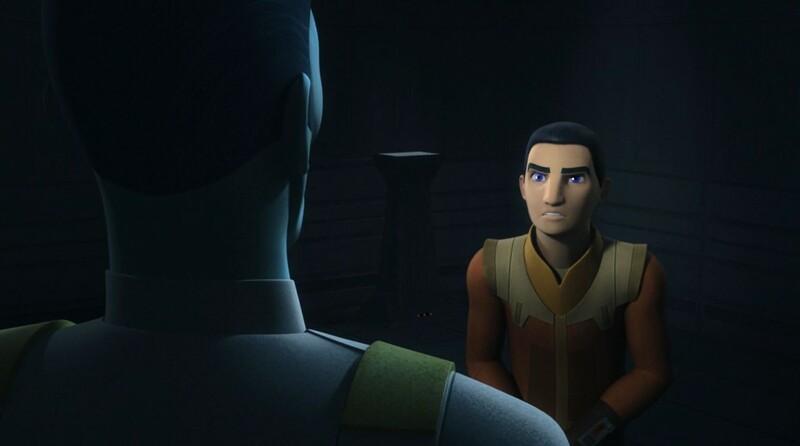 Another thing that sets Ezra apart from the Empire and the protagonists of The Clone Wars is that he doesn’t try to co-opt or override different cultures for his own ends. Think of the numerous times that the Jedi and the Republic landed on a planet and immediately began lecturing the locals on how they should live their lives. Again, some of it was clearly done with the best intentions, a matter of saving lives in the moment, but it frequently ended with a neutral planet being brought under the umbrella of the Republic which would later become the Empire. “Heroic” colonialism. Saving those poor natives (and their resources) in the name of their government. In contrast, Ezra allows himself to be taught. When he participates with Zeb’s people in the search for Lira San, he partakes in a cultural ritual, but he never tries to lead it. He follows, listens, and supports the Lasats on their journey. He does the same with Hera during the mission to reclaim her Kalikori and with Sabine during the mission to save her homeworld. Ezra is empathetic enough to avoid othering different cultures and humble enough to let himself be led by them. It’s a cue which Lucasfilm should take from their own character. Here we’ll take a step out of the canon and into the real world, because this othering of cultures, this appropriation of indigenous art – Lucasfilm itself has been doing it for decades. From language to character design, there is an abundance of Native American culture throughout Star Wars without any representation for Native Americans themselves. This is effectively the same sort of colonization Thrawn uses on Lothal and Ryloth. “Stand-in” representation – such as Ewoks or Tusken Raiders – doesn’t count either. It still is an act of othering in which the culture or experiences are divorced from the people and used to the author’s or filmmaker’s own end. Now there are mixed receptions to Star Wars and its use of indigenous imagery among Natives themselves; I don’t mean to present them as a monolith. Take a look through the #SWRepMatters tag on Twitter to read any number of these voices, all with diverse takes on the topic. And I wish to make it clear that Scott and Jae clearly have a love for Star Wars, and their whole #SWRepMatters threads are worth reading. Just as Star Wars is becoming more overt in tackling droid rights, there also seems to be a trend towards greater critiques of colonialism. Sometimes the anti-colonial message is more a running subtext, such as in Solo with Enfys Nest or The Last Jedi in how the heroes partner with the various planet fauna instead of defeating it (à la the wampa in The Empire Strikes Back). Other times it’s a laser-focused statement made in a story that isn’t necessarily about colonialism, such as a some of the issues Leia runs into in Princess of Alderaan or General Urtya in the Star Wars comics telling the Rebellion off for trying to make decisions on behalf of the Mon Cala people. Then there are works where the anti-colonial message is both ongoing and very overt, like in Rebels. This makes it even more important for Lucasfilm to hire Native Americans as writers, actors, and other various and visible roles in the franchise. For the sake of representation, yes. That alone should be reason enough. But also for the sake of expertise. Native science fiction authors are already leagues ahead of Lucasfilm in this respect. The expertise that comes from diverse perspectives enriches the world of Star Wars. Though they are not Native writers, I think the works of Daniel José Older, Nnedi Okorafor, and Ken Liu are examples of the value of diverse voices in this growing trend. Older’s The Last Shot pushes back against some of the othering stereotypes in Star Wars. In particular, the Ewok Peepka pushes back against the “noble savage” trope by virtue of her role as the team’s slicer (Star Warsian for “hacker”). Okorafor’s “The Baptist” in From a Certain Point of View shows us the once frightening dianoga as a victim of colonialism herself. She’s no longer the monstrous threat in the trash compactor, but rather an aid along Luke’s journey. Even beyond that, her own journey doesn’t end with Luke; she’s not there just to sacrifice herself for the white hero. The encounter opens her up to the greater mysteries of the Force as well, and even though she’s on the Death Star when it’s destroyed, she speaks to the possibility of her story continuing on through reincarnation. 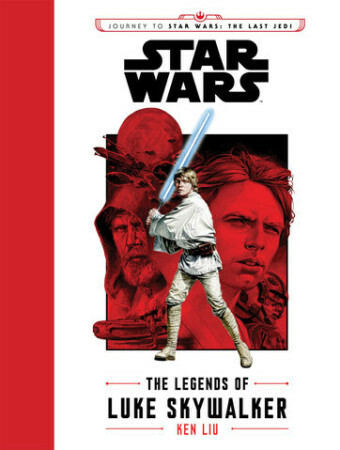 Liu’s The Legends of Luke Skywalker contains a short story called “Fishing in the Deluge,” in which the indigenous people are explicitly human. Here, we see Luke exhibiting the same traits as Ezra; humbling himself to learn from the Lew’elans. This short story also avoids the trope of the white colonizer becoming a better native than the natives, a common trend we see in movies like Avatar. Now, two of those examples still had the indigenous characters as aliens, something which isn’t inherently bad, especially if it’s a vehicle to shake up stereotypes and provide critiques of ongoing, damaging tropes (and it’s important not to discount what each of these authors have brought to canon from their cultural background). After all, that is similar to what H.G. Wells was attempting to do with The War of the Worlds: provide otherworldly metaphors that, in their applicability to our world, can change someone’s perspective. But if Lucasfilm keeps up this anti-colonial trend without bringing in Native voices, they’re effectively talking over them. It’s a passive way of saying that they know the various indigenous cultures better than the actual people. It is their culture. We’re the hostiles.